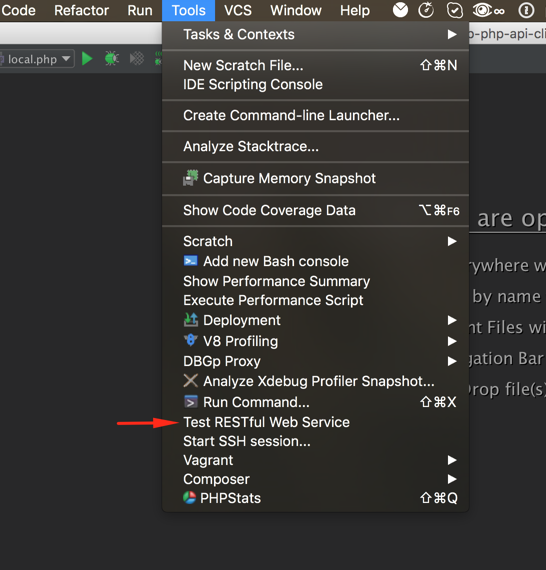 PHP as most commonly used language in web development often being used with a PHPStorm IDE. This IDE has a built-in REST Client UI tool that could be used to interact with Unity APIs. In general, everything remains the same, except an easier HTTP request options setting through IDE UI.